Ivan Rendic was a Croatian sculptor who studied in Italy - including in Venice - and later worked extensively out of Trieste. 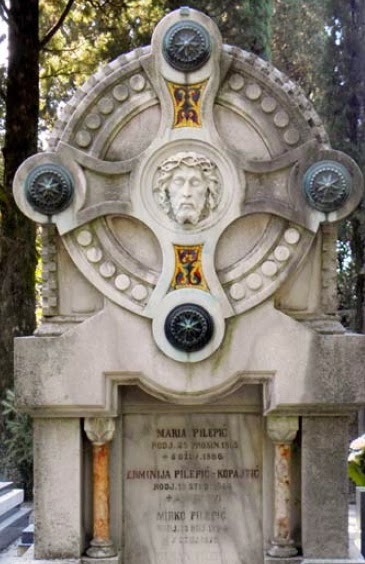 He made numerous funerary monuments in the cemeteries around Rijeka (including Kozala, Trsat-Susak, Opatija and Bakar), some of which Salviati also decorated with enamel mosaics. A catalog prepared for the 1893 World Columbian Exposition does not detail exactly which memorials Salviati worked on (and erroneously lists Trieste as the location of the cemeteries), but the following examples were all made by Rendic before 1893 and are embellished with mosaics. 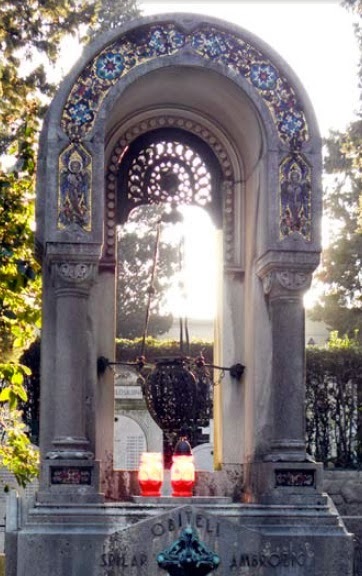 The interior of the Gorup family mausoleum from 1882 in Rijeka's Kozala cemetery. 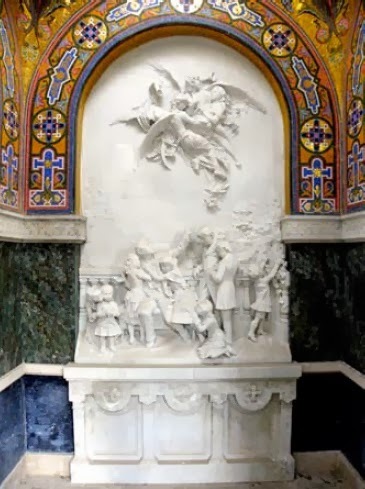 Josip Gorup had the memorial built after the death of his wife in childbirth, and the carved relief shows the separation of a mother from her eight children. 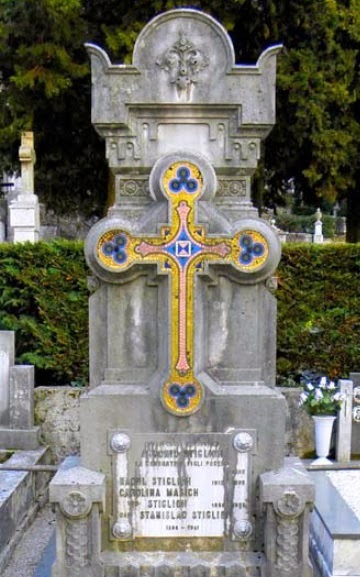 The Devet/Spilar-Ambrozic memorial from 1885 in the Kozala cemetery. The Pilepic monument from 1890. The Stiglich family tombstone from 1891. 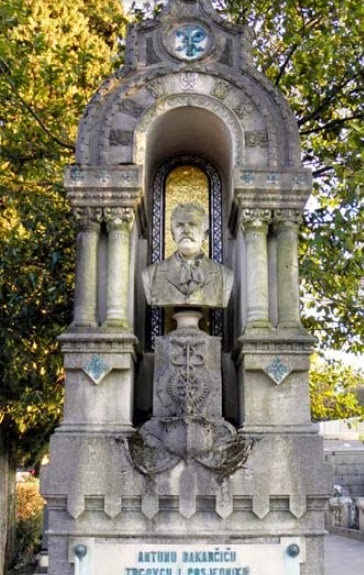 The Bakarcic monument from 1892 in the Kozala cemetery. Barr, Sheldon. Venetian Glass Mosaics: 1860-1917. London: Antique Collectors' Club, 2005. 126. Metzger-Sober, Branko. "Funerary Monuments by Ivan Rendic in the Croatian Littoral." Ars Adriatica. 3. Dec 2013.